As I noted last week in my post on the current partial amnesty offered by the IRS for those with hidden overseas assets, the flexibility of web work can encourage cross-border collaborations and contracts or allow location independent workers to live abroad for a period of time. Taxes, predictably, get complicated. Don’t expect miracles. 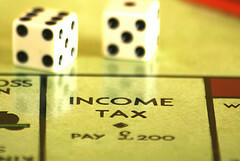 “Leniency has been on the decline,” Corso warns, so don’t be taken in by other people’s stories of dodging their tax bills. “Be wary of cocktail party advice. If it sounds too good to be true it probably is. ‘Everyone else is doing it’ is not a sound basis for making a decision in international tax.” And understand that extreme efforts to reduce tax are not always cost-effective. “Although businesses often employ tactics and structures that help reduce taxes, such methods are usually not cost-effective or lack business sense for small to mid-sized businesses,” Corso concludes.